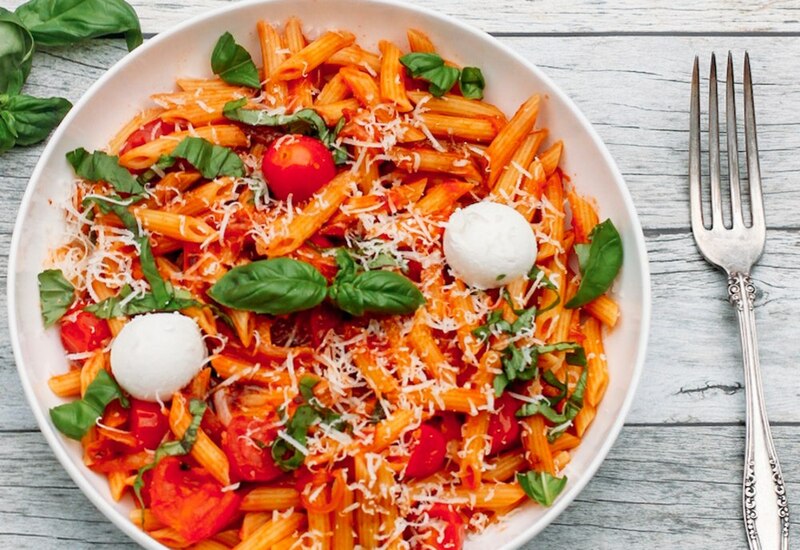 Let your slow cooker make a rich tomato sauce to serve as a base for this pasta dish bringing together the classic flavor combination of tomatoes, basil, and mozzarella cheese. Top with freshly ground black pepper for an extra kick. Per Serving: 473 calories; 18g fat; 53.7g carbohydrates; 25g protein; 56mg cholesterol; 2031mg sodium. This pasta caprese was so delicious. The sauce is incredible, I would definitely use it in other dishes as well. This is another reason to love your slow cooker! This was my first time making pasta caprese, it was really good. Definitely a cheat day meal! The fresh mozzarella balls were my favorite part!